Enjoy the little things. : The girl next door. I love time. 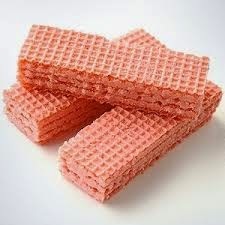 With the exception of pink wafer biscuits it's my all time favourite thing. A beautiful concept and a handy addition to this glorious universe through which we find ourselves hurtling, clinging on by the skin of our teeth to a tiny, little rock as it whizzes around an insignificant star. Without time, we'd have no history, and without history we'd be even more unimportant that we already are. But there is no time, it's not a "thing", it doesn't exist. It's nothing more than a human invention, a way of measuring our lives. It's a currency. Time is cherished, coveted, given and shared. more valuable and fragile than any gemstone. 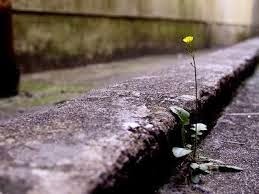 We cling to the past, scared to let it go for fear of being forgotten ourselves. We're here for the blink of a celestial eye, we achieve little of any significance to our fellow man, woman or beast and even less significance to the universe before returning to the Earth that accidentally spawned us without the Earth even noticing. The past reminds us that we've lived while the future reminds us this won't be the case for very long. We hope that our children will think fondly of us, keep our memory alive, and that in turn our grandchildren will do the same. Maybe we'll be lucky enough to leave our great-grandkids with fond memories too, but thats as far as history will take us. Do you know your great-great grandfather's name? Or his father's? Do you know anything about them? As a small child, one rainy Sunday afternoon, I watched the film adaptation of H.G. 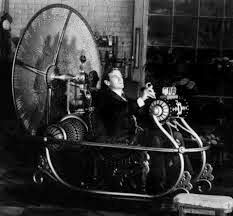 Wells' "The Time Machine". A lovely film, I sat engrossed in front of the flickering box in our front room with a packet of Salt 'N Shake and a glass of dandelion and burdock as Rod Taylor portrayed the time travelling hero, George. For any of you that have neither seen the film nor read the book, in a nutshell, George invents a fantastical machine in his basement, travels forwards in time, but not space, and has a fine old time for a while before things turn bad. It's really rather good. At about the same time (That word comes in very handy, doesn't it?) I became a fan of Doctor Who. 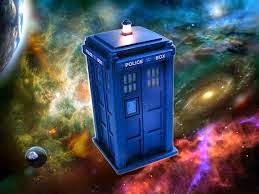 The Doctor's time machine had the added advantage of being able to travel through space as well as time. There were rules to time travel, though. Rules fabricated by the writers. You can't kill your granddad, though why anyone would want to was beyond me, you can't change things that have already happened for fear of upsetting the future, you mustn't step on an insect in the Jurassic period and you shouldn't attempt to profit from your advantage. But you would though, wouldn't you? Nothing big, maybe just nipping back a couple of hundred years and putting a fiver in a post office account then going forward to collect the interest. Or putting your shirt on the winner of last years Grand National. Maybe even telling your past self to invest in IBM or Facebook. Surely that wouldn't hurt? Even if it did, no one would know that you'd done it. You could ensure you became the most powerful man on Earth, balls to all those that suffered hardship because of your actions, people suffer all the time. If not them, then someone else would. It's the way of the world. I know what I'd change. I would return to Saturday, July 31st, 1976. I would visit my grandmother's house in Ashton-upon-Mersey and, at about nine p.m., I would climb up to the small window on the left hand side of the rear of the property and tap on the window. I would awaken the little me sleeping soundly in the horse-hair stuffed mattress in the bedroom with the racing cars on the wall, making sure I'd disturbed the dream I was having, and then I'd leave. Then everything would be okay. On the aforementioned night I had a dream. A beautiful, incredible dream. One like I've never had since and one I truly believe shaped both me and my future. My future that is now my past. I dreamt I woke up the following morning and went out to play with the little girl that lived next door to my gran. In my dream we found a pair of plastic chairs in the little walk that ran behind the house. We discovered that if we sat on and wrapped our legs around the legs' of these chairs, grasped the seats and jumped, the chairs would float a few inches off the floor and forward a foot or two. By repeating the motion over and again we would float higher and further each time until, by the time we reached the street at the end. we were flying. The kind of flying that a Daddy Long Legs performs, bumbling and bouncing in the air. By the time we reached the main road at the end of the street we no longer needed the chairs. We left them behind and, hand in hand, flew high above the houses. We followed the dual carriageway towards Manchester, soaring and swooping, seeing the buildings from above and remaining unnoticed by those people below. We laughed and we smiled and we fell in love. All in one night. We chose to land. We grew up. We finished school. got jobs, got married, had children and grew old. The dream seemed to last sixty years, it was incredibly detailed. I felt the passage of time. Our lives were idyllic, our children successful, our retirement home pretty and our love never faded. We had, in the space of one night, two fantastic lives. Then we died. Together, sat hand in hand in two small, plastic chairs watching a crimson sky as the sun dipped behind the hills, and I woke up. I cried, lay in my bed, aged six. I cried at the loss of the life that I had led, the life I had worked so hard to build and to make a success of. Later, I saw the little girl, my future wife from the past I'd never had, through the privets that separated her back garden from my grandmothers, the little girl that I had loved and that had loved me back for decades, and I never spoke to her again. I couldn't tell anyone, they'd think I was crazy, and so I mourned my missed life all alone. Like the half arsed web a spider rebuilds after you've wiped away her initial, intricate creation so my life unfolded. I'd had it all, everything anyone could ever want. Love, happiness, wealth. It had been perfect. There had been low points, but without the lows we couldn't have had the highs Whatever lay ahead for me could never live up to what now lay behind and, even if it did, what if this new-old life is all a dream as well? Why bother building to have it snatched away? No, I'd learned my lesson, from then on in it was the easy life for me. When things went wrong I'd shrug and walk away. This attitude has led to a life of drastically varied experiences. I have become many different people, had many different attitudes, throughout the years that have followed. I've enjoyed, and continue to enjoy, my life greatly. But sometimes I look at an old couple, holding hands on Blackpool front or smiling as they celebrate their fiftieth wedding anniversary, and I wish I'd spoken to the little girl next door. Perhaps I'm a time traveler, my consciousness and memory full of holes caused by the side-effects of my trans-temporal adventures. Perhaps I'm in the afterlife. Perhaps this is hell. Perhaps I was reborn, that I was reincarnated. Perhaps everyone has had a similar dream and, like me, never dared tell anyone. Perhaps, one day, I'll wake up and, once again, be a small child in my grandmother's house. Would I take it as a third chance to right what went wrong in this life I'm living now? Or would I once again decide that I really can't be arsed? "If you love something, let it go". So goes the old chestnut. I still visit the dream from time to time. Less and less frequently as time has passed, it's now become a comforting, mental bolt hole. My own, personal time machine. Maybe, on those nights when I dream about the dream I had, about the moments in the life that never was that I cherished the most, that's when I'm really awake, jumping from age to age, revisiting the paradise I lost. Maybe, one day, during my visits to my old life that never was, this life that is will cease and I'll be there forever. In all probability, though, I'm just crazy. ...go and get it back.